Camilo Aldana Sanín/ICTJ. All rights reserved. Over the years, there have been numerous attempts to end Colombia’s decades-long conflict, an armed struggle marked by widespread suffering and soaring numbers of human loss. The peace talks between the Government and the FARC-EP—negotiations that began two years ago–have made significant progress in the face of innumerable difficulties, and now appear to be the best opportunity for Colombia to reach sustainable peace. Now, the negotiating parties, in concert with the whole country, are discussing the different approaches to and possibilities for a transition based on victims’ rights to justice, reparation, and truth. It is a timely occasion to mention the necessity of such a principled ground for transition as the Colombian government and FARC announced yesterday the creation of a truth commission, though only once a final peace treaty has been signed. Before the details are finalized, however, all those around the negotiating table must clearly understand what they expect a truth commission to achieve: A truth commission should not be adopted mechanically, nor considered only as a policy obligation. Nor should it be conceived as an omnipotent institution or replicated blindly because of the fascination with the mechanism itself and the accompanying myths. The parties need to know what they really want to achieve–this requires not only a deep reflection and understanding of what commissions can realistically accomplish, but also to hear and understand the expectations of Colombian society. 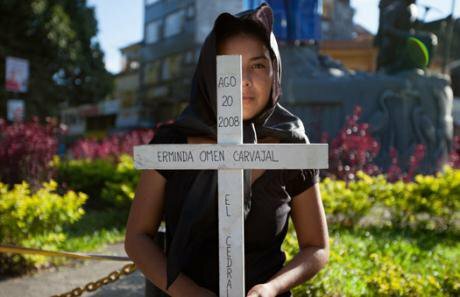 The predominant assumption in Colombia is that a truth commission would examine a long period of serious and mass human rights violations, in addition to the underlying structural causes of the conflict. Another common expectation is that a truth commission would carefully examine each and every crime that has been committed during the conflict. Given experiences of other countries, such expectations would be highly unrealistic: even in truth commissions with broad and ambitious mandates, the clarification of each incident is impossible, especially from the perspective of forensic truth. It is important to reiterate, as many times as needed, that a truth commission does not substitute a judicial process, cannot clarify everything that has not been addressed in courtroom, and is not designed to let perpetrators off the hook. A truth commission should not be conceived with the logic of a judicial processes–failure to comprehend the difference could mean jeopardizing the process itself. What a truth commission can do is make a fundamental contribution to stable and lasting peace by recognizing the victims’ experiences and sorrow. Indeed, the quest for truth is also a quest for justice: recognition that wrongdoings suffered by victims are a matter of national, social, and institutional concern; acknowledgment that their needs and demands for justice and reparations must be addressed; and genuine commitment to take all necessary measures and to implement all required changes, to prevent repetition of crimes. The benefits of offering this official recognition are apparent; chief among these is the sense of recovered dignity of victims and affected communities, and the restoration of their capacity to control their own lives. In this regard, truth can also strengthen communities and individuals’ sense of citizenship, as people become aware of their rights and their status as citizens and it helps to restore the relationships between citizens and state. But truth commissions are not just about victims. The process led by a truth commission is a unique opportunity for a social debate about what is known but not yet accepted, about what is still unknown and about the roles of institutional, political and social actors that need to surface after decades of denial. Many times, truth commissions meet indifference or incomprehension, from both the public and government. To facilitate a collective process of acknowledgement, a successful truth commission must manage to engage sectors of society that have disengaged in the process, even those who oppose truth-seeking measures, or who have in some way participated in or profited from the conflict. Although many truth commissions started their work expecting their ultimate contribution to be a final report and a repository of written testimonies, they soon discovered that what society and different social groups are really asking for is a process where interaction, participation, and open discussion are as important as the findings. This would unmistakably apply in Colombia where numerous collective projects–as well as a vast diverse of social and political identities–have already emerged, and several initiatives have even asked collectively for such a participatory process. Indeed, a truth commission should be considered as a process, not as a single event. A truth commission in Colombia could build upon previous efforts, and likewise act as a bridge to future projects of truth-seeking. The selection of truth commissioners is also crucial for the success of a commission. Leadership is as vital as public participation, and demographic representation will not necessarily guarantee the suitability and legitimacy of commissioners: the selection and designation of commissioners must be inspired and guided by criteria of integrity and independence. The truth commission does not need to be a mini-parliament or an assembly of delegates from different sectors. It should gather elected people deeply committed to human rights and the truth commission’s mandate, able to inspire and lead such a complex and difficult process. In Colombia, significant progress has already been made toward clarifying the truth and constructing historical memory, thanks to judicial processes like the Justice and Peace Process, the work of the Historical Memory Group and the National Center for Historic Memory, unofficial civil society initiatives around the country, and the findings of prior official truth commissions that concentrated on specific issues or periods of the conflict. However, there is still great demand in the country for knowledge and recognition of the truth about the armed conflict. An effective truth process in Colombia will have the potential to nurture a more inclusive and stable democracy by reflecting the diverse cultural, gender-based, political, and religious identities represented in society, and by bringing this diversity to public consciousness through a spectrum of testimonies. Bringing victims’ voices to the public realm and integrating their experiences into society’s collective knowledge improves our conversation with others and with ourselves. That conversation, made of meaningful words, is the fabric of democracies. It’s also the solid base upon which a peaceful coexistence among all Colombians can flourish.